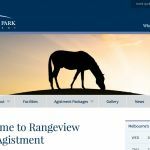 We provide a “Boutique Premium Agistment Service” – situated in Arthurs Creek, Victoria, we offer the highest quality care so you can enjoy peace of mind knowing your horse is in the best of hands. Our Team are extremely experienced and dedicated and have a wealth of horse experience in a range of areas so don’t hesitate to contact us for a chat and we can work through the best options for you and your horse. See what some of our past customers have to say in the Testimonial section. We have several Agistment options available with pricing starting from just $11.00 per day. Agistment is available in either private or shared arrangements and we cater for long and short-term stay as well as “Holiday Packages” all year round. All regular paddock cleaning comes as a standard service as we insist on keeping the property as clean as possible for our horses and agistees. This new Agistment centre is surrounded by plenty of great riding trails and riding clubs. View the great range of Facilities and Services we have on offer.